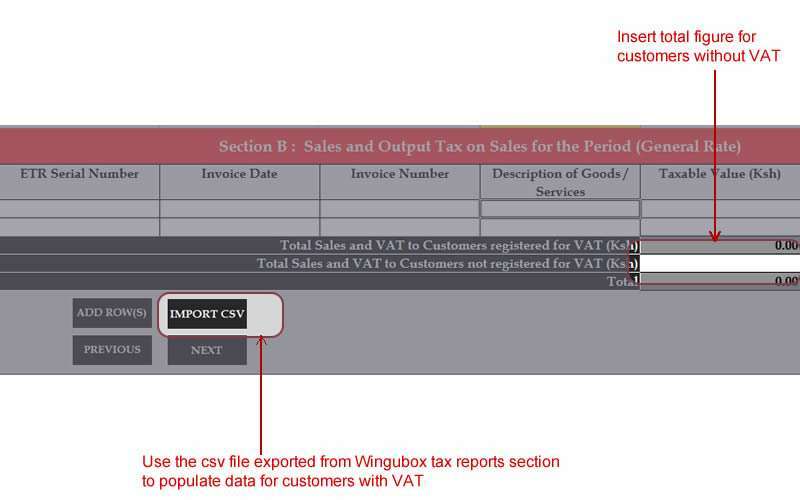 Following, Kenya Revenue Authority (KRA) full migration to the new iTax system, some changes have been consequently updated on Wingubox (Online Accounting) - VAT Reports section. We have introduced two distinct columns that show taxes from customers with registered PIN and customers without. This is important while filing your returns. Log in to itax.kra.go.ke with your PIN and password. Under general rated purchases, import file from Wingubox for the same title. Notice that if you don’t have any customers with PIN, this file will have no data. For customers without PIN enter the full amount of vatable sales on the row labeled “Total Sales VAT for customers not registered for VAT. This amount can be gotten from the Wingubox VAT reports table. With “General Rated Purchases”, all invoices must have a valid registered PIN to be acceptable. Wingubox will only export itax data where valid PINs exist.